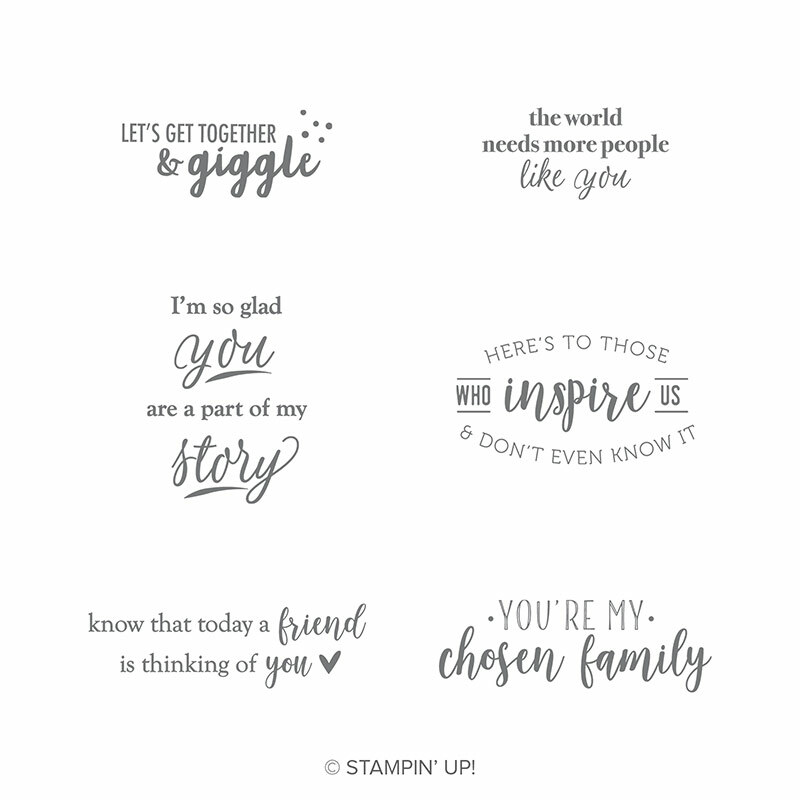 The Foil Sheets from the Stampin’ Up! Sale-a-bration promotion are awesome! They come in a package with both Grapefruit Grove and Lovely Lipstick colours. 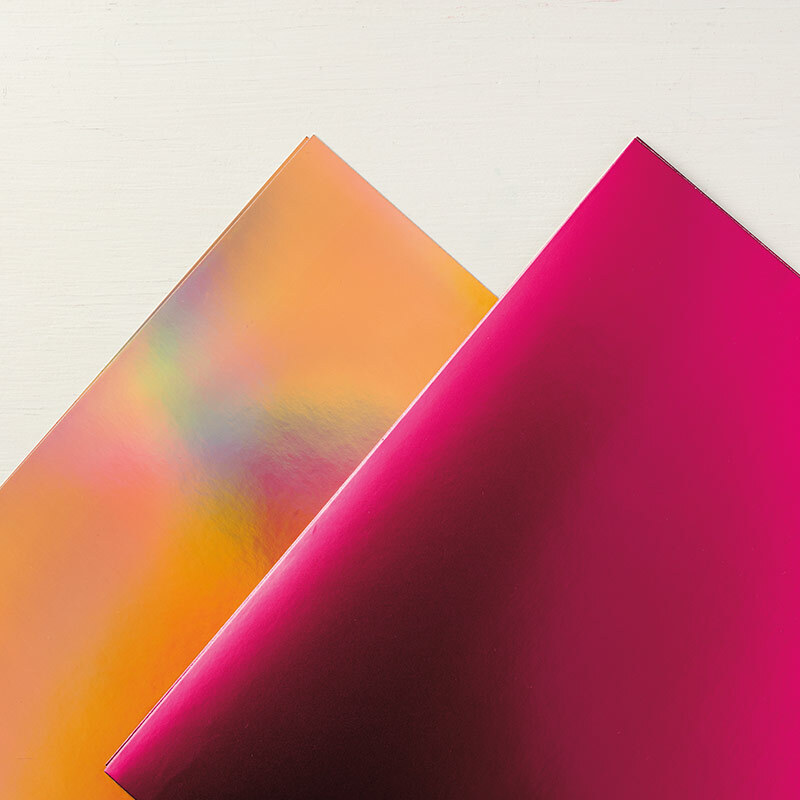 The papers are 12 x 12″ in size and you get 8 pages (4 of each colour). 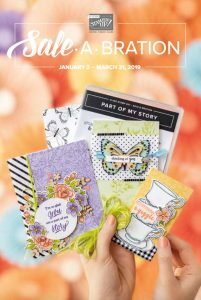 Item #149712.Sale-a-bration items, like these foil sheets, are products you can get for free with a $60 order, but only until March 31, 2019. Learn more about Sale-a-bration here. 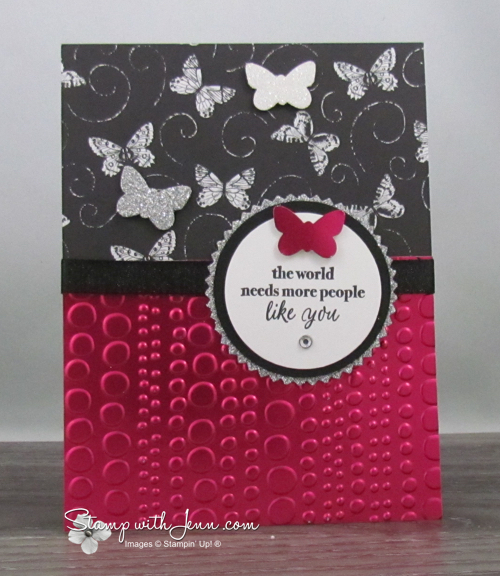 The sheets are almost rainbow like and definately give that WOW factor to a card. I got this card in a card swap with other demonstrators and I love how the demonstrator embossed the foil sheet for even more of a POP! 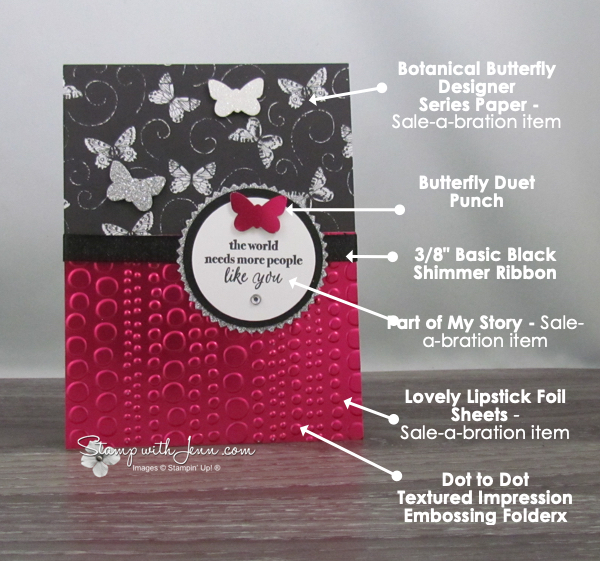 The pretty butterfly paper on the top of the card is also one of the Sale-a-bration options, Botanical Butterfly Designer Series Paper, that you can pick out for free and so is the saying from the stamp set, Part of my Story (see the images from this set below). I just love the saying on this card and wouldn’t make a friend feel great to get this card! 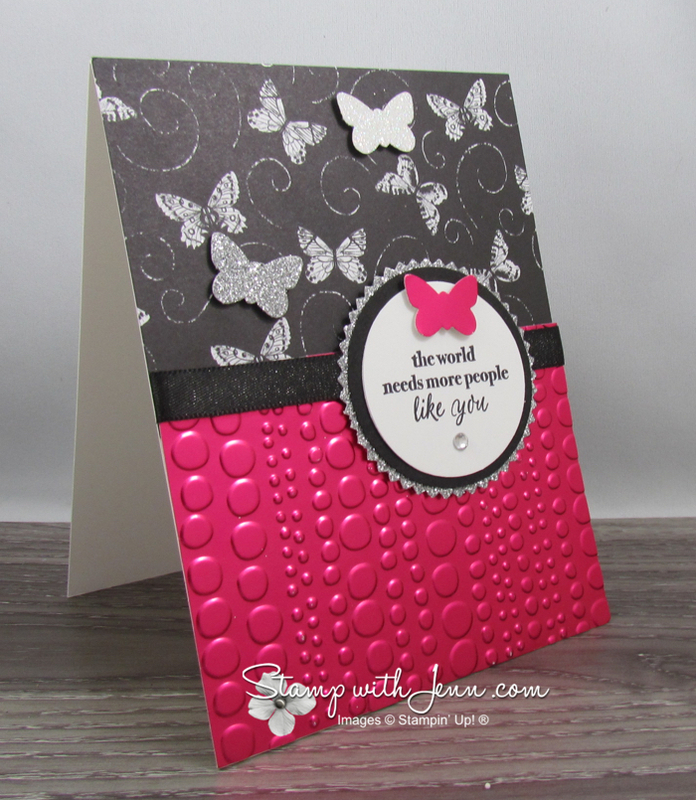 I love the bright colour of the Lovely Lipstick Foil Sheet against the Black and White colours. This would look great done with the Grapefruit Grove Foil Sheet in the package as well. See all the supplies on this card below. You can see the full effect of the foil sheets on the short video that I posted on my Instagram account here. 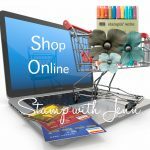 To shop for any of these supplies, please click on any of the images below or HERE to go to my Online Store. To view the full Sale-a-bration brochure, click here. Sale-a-bration products are while supplies last, and the gorgeous Grapefruit Grove & Lovely Lipstick Foil Sheets are already getting low in inventory. Don’t forget to add the Sale-a-bration foil sheets to your next order.